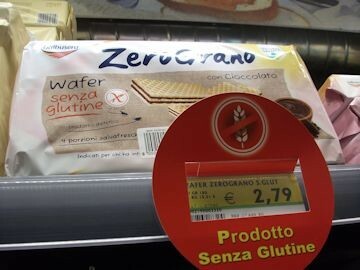 In Bologna, it was more challenging finding places to eat which would accommodate our allergies, compared to Bardolino. On arrival we found Tramezzino, via degli Orefici 4 www.bologna.tramezzino.it which purported to be vegan friendly, but seemed to serve a lot of cheese. 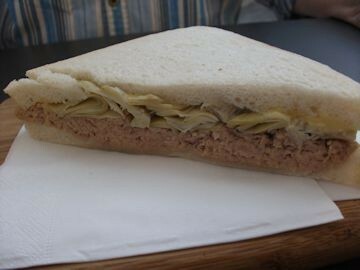 After showing them our pieces of paper saying we had allergies, Ray enjoyed a tuna and artichoke sandwich, 3.70 euros (he discovered he can eat artichokes), while I had a green salad with carrots, mozzarella, cherry tomatoes and olives, 6 euros. We both indulged in a fresh apple, melon and ginger juice, 4 euros each. 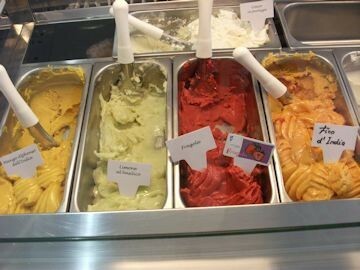 Across the road we discovered a shop selling vegan friendly ice cream – La Crème de la Crème, Via Degli Orefici and shared a small punnet of dairy free cherry ice cream, 2.50 euros. Bologna is dominated by the two medieval towers, the landmark of the city. 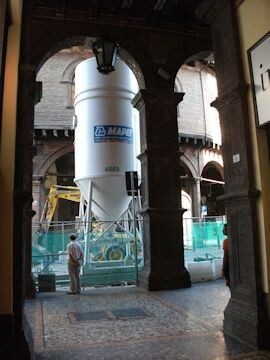 Unfortunately there was major building work going on in the city centre which spoiled the ambience. The greatest find was Osteria del Podesta, Via Orefici 21, virtually next door to the vegan ice cream parlour, which offered delectable gluten free delights, but weren’t so geared up for dairy free. 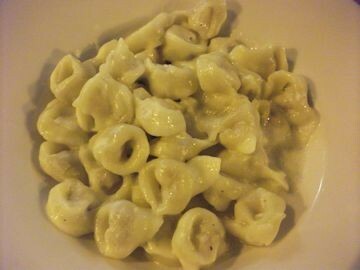 The waitress said Ray shouldn’t have Bolognese sauce as it had milk in it, but could have Tortellini (meat filled pasta) with a creamy sauce made with soya milk. 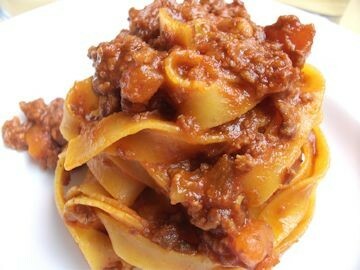 I opted for the gluten free lasagne Bolognese. 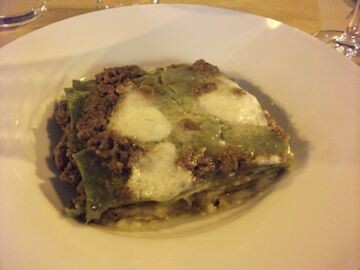 This was the first time I’d eaten lasagne in over 15 years and it didn’t disappoint. It was mouth-wateringly delicious. 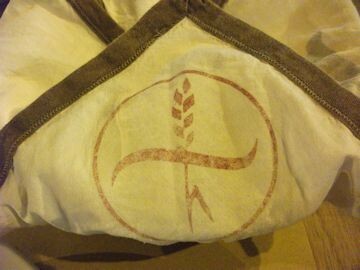 It was served with warm gluten free bread patties, sensibly wrapped in a cloth with the gluten free symbol on it to avoid cross contamination. Ray’s tortelloni was “wonderful” he said. We sat chatting to an Australian couple who were bravely touring Italy by car and shared their hair raising experiences of driving in Italy. 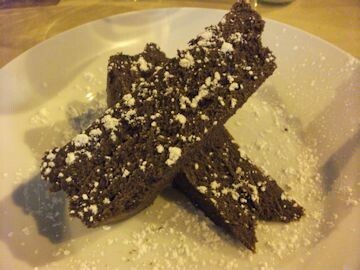 For dessert, I indulged in a gluten free chocolate cake similar to a brownie, but much softer, almost like an ice cream cake. 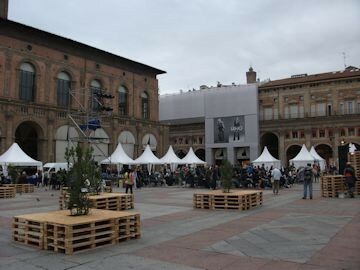 The main square is Piazza Maggiore and during our stay it was transformed into a venue for a religious festival with wooden pallet seating and covered stalls. At our hotel Hotel Corona D’Oro www.HCO.it the breakfast buffet meant we could see at a glance what we could eat. 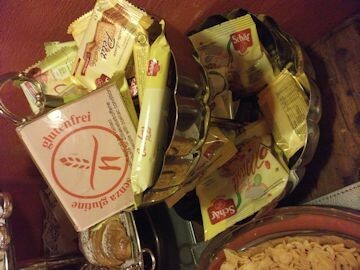 There was a small offering of gluten free products including the Schar www.schar.com muesli, also lactose free so Ray and I both ate it. We were given a jug of gluten free milk for our cereal. The gluten free bread was unbranded; I decided to toast it and it tasted great with strawberry jam. The bacon was too fatty to eat so I had some prosciutto and fruit, while Ray ate parma ham, bread and honey. English breakfast tea was plentiful so we enjoyed a long leisurely breakfast. 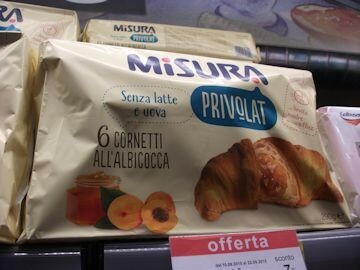 The supermarket round the corner from the hotel - Meta, Via Altabella 21, sold several “free from” foods such as rice cakes, gluten free bread, dairy free croissants and gluten free chocolate wafers, as well as soya milk. Fresh produce is freely available, as we passed so many shops with colourful displays of fruit and vegetables. For lunch, we visited Il Duca D’Amalfi, Pizza dei Celestini where Ray chose a ham and artichoke sandwich, but the waiter came and told him that the same machine was used for cutting ham and cheese so there would be cross contamination. 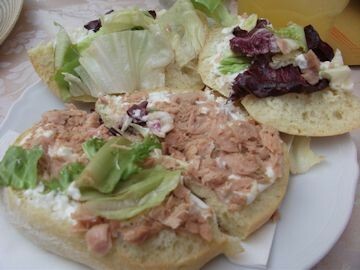 So instead, Ray had a tuna salad mayonnaise sandwich (3.50 euros). We were so pleased they were so concerned and vigilant. 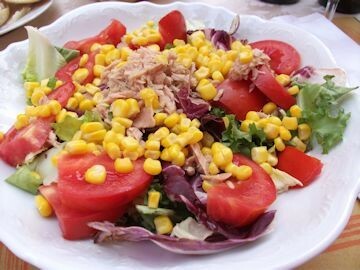 I ate a green salad with tomatoes, tuna and corn (8 euros). 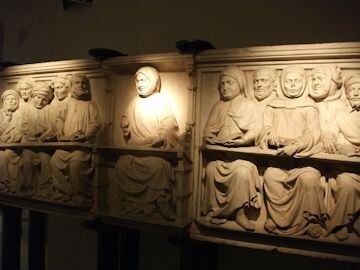 We visited the Medieval Museum http://www.museibologna.it/ where we were underwhelmed by bad signage and miserable staff. When Ray asked if there was a guidebook in English, they said no. When we started looking round we discovered by accident A4 sheets in English in each room describing what was on display. Curiously, we weren’t asked for tickets immediately on entry but only in the second room. Be careful you don’t miss exhibits as the museum is housed on several floors, but the signage is poor. The museum exhibits impressive displays of medieval armour, guns and weapons, religious artefacts and marble carvings. 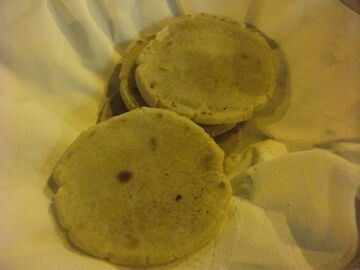 Do have a coffee in the Salaborsa http://www.bibliotecasalaborsa.it/ , off Piazza Maggiore. It’s a favourite meeting place with a multi media library. There’s a covered square in the centre of the building. 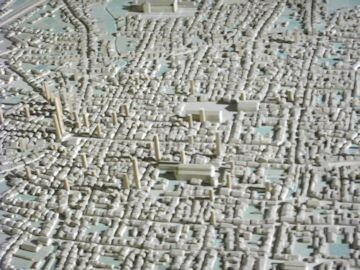 Beneath your feet through the glass floor you’ll see a view of the original city. Look up and admire the art nouveau ceiling. In the Piazza San Stefano, the heaters at Il Caffe Delle Sette Chiese kept us warm. 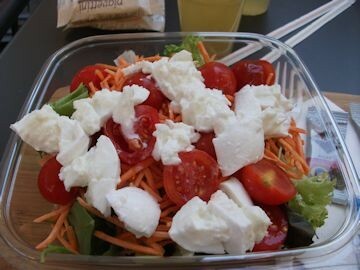 I indulged in chicken breast and salad (12 euros) while Ray ate Tagliatelli Bolognese – the waitress checked that there was no butter or milk in the sauce. We liked it so much we returned there again in the evening, where we chatted to an English couple who had both climbed the 498 steps of the Asinelli Tower in the centre of Bologna. Very impressive.